Sunday, 8:00 a.m. - 5:00 p.m.
Take Lake Shore Drive south to the 53rd Street exit. Take a slight right (west) onto 53rd Street. Proceed about a half mile to Blackstone Avenue. Make a right on Blackstone. 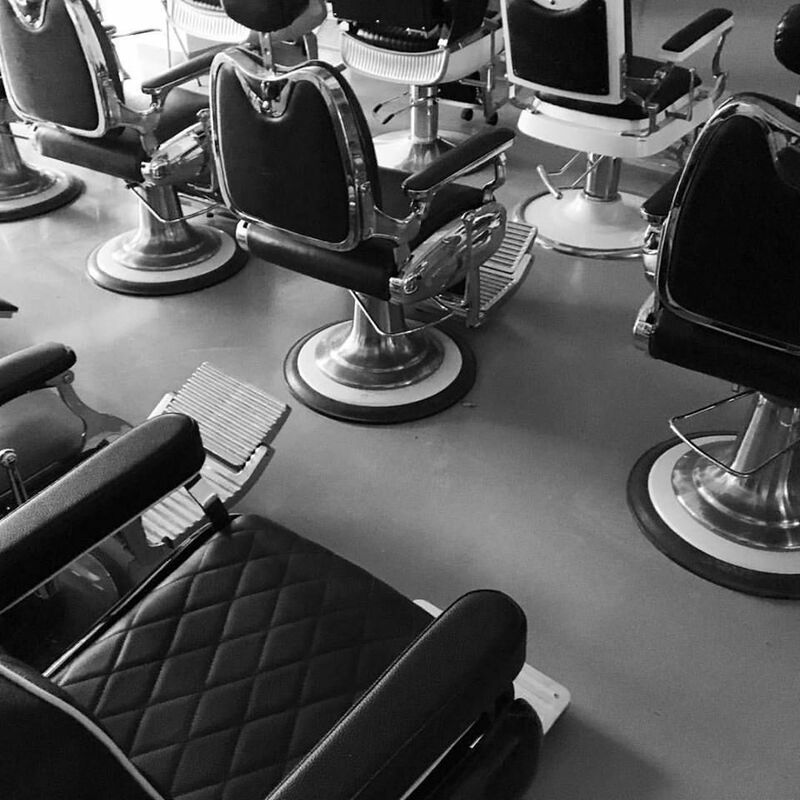 Hyde Park Hair Salon and Barbershop, a long standing institution on Chicago's South Side, is no stranger to celebrities sitting in its barber chairs. Barbers have cut the hair of notable names like Muhammad Ali, Spike Lee and former Chicago Bears wide receiver Devin Hester. But the big named customer that's drawing everyone's attention to the shop now is former United States President Barack Obama, who was a regular for 14 years--way before anybody knew who he was. This has turned the barbershop into a destination spot for tourists from around the world exploring the former president's Chicago neighborhood. Chicago History Museum. The Chicago History Museum houses a collection of more than 22 million artifacts, grouped into eight main collection holdings: architecture, manuscripts, books, costumes, decorative and industrial arts, oral history, film, and video, paintings and sculpture, and prints and photographs. A 2005 renovation included an updated lobby with new artifacts and installations, new galleries, new museum store, and The History Café operated by celebrated chef Wolfgang Puck. Historic Water Tower. The Water Tower was commissioned to house a 138 foot tall standpipe, which helped with water flow and pressure for the pumping station. But the Water Tower's main claim to fame is that it is one of only a very few structures that remained standing after the great Chicago Fire in 1871 and today is a monument to that event. The Water Tower is home to the City Gallery, the "city's official photography gallery," which presents Chicago-themed photography exhibitions by Chicago photographers. Monadnock Building. At 197 feet tall and constructed in 1893, the Monadnock Building is largely recognized as the world's first skyscraper. Even if some might find that debatable, what is a fact is that it's the tallest building fully supported by masonry walls unlike the steel supports used today. The walls at the bottom of the building are six feet thick in order to handle the building's massive weight. National Vietnam Veterans Art Museum. There is no other museum like NVVAM in the country, and perhaps, the world. While other institutions fill their halls with the artifacts of war, this Chicago museum is filled with the human experiences of war captured, examined, and expressed through art. NVVAM's collection has more than 800 pieces representing more than 170 artists, three floors of exhibit space, and a theater space named in honor of comedian Bob Hope. The Pump Room. The legendary restaurant, tucked inside Public Chicago, continues to be a celebrity magnet almost 80 years after it was established in 1938. But to really experience an over-the-top evening, book Booth One. That's where all the A-Listers--including the likes of Frank Sinatra, David Bowie, Sammy Davis Jr., Elizabeth Taylor, Sting and Mick Jagger--reclined in high style. It can be yours too--simply request it when you make a reservation--and watch everyone watch you in envy. It comes with a vintage, rotary-dial telephone; alas, you cannot call out on it. Richard H. Driehaus Museum. This sprawling destination was once known as one of Chicago's wealthiest homes during the 19th century. It was then known as the Samuel M. Nickerson House, a mansion so grand in architecture and interior design that much of it has been preserved for visitors to enjoy today. The museum showcases a collection of preserved and restored furnishings from the Gilded Age, plus hosts a number of programs and traveling exhibitions.